Jamaica is the largest English-speaking Caribbean country, located in the northwestern Caribbean Sea, approximately 145 kilometres south of Cuba and 191 kilometres to the west of Haiti. Jamaica is 4,244 square miles in size and has a population of about 2.7 million people. 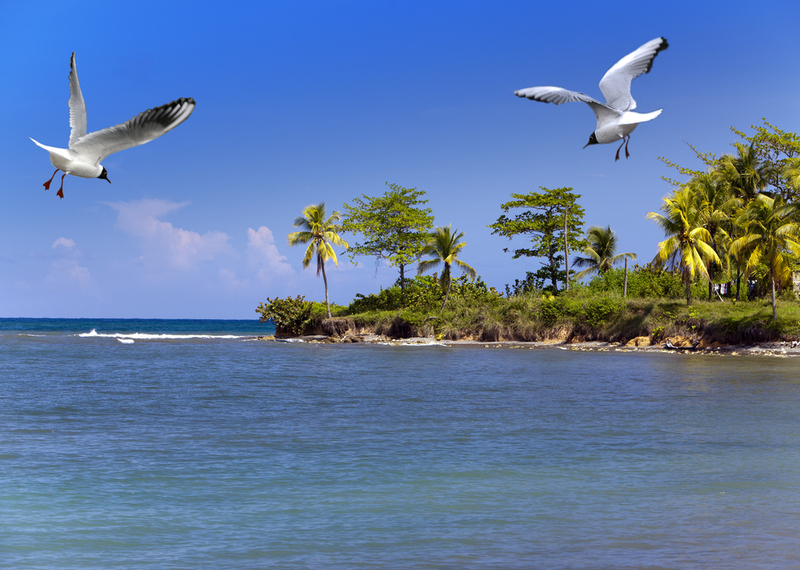 The Island of Jamaica features a lush green mountainous landscape, rainforests and beaches lined by rich coral reefs. Jamaica has been a top destination where visitors can experience a lively Caribbean culture. To most people, Jamaica is the heartbeat of the Caribbean. The birthplace of Reggae and Reggae legend Bob Marley, the Rastafari movement and all-inclusive resorts. Jamaica represents many of things most people love, and probably misinterpret about the Caribbean. Visit the “land of wood and water,” sugar cane, coffee and limestone, and create your own story. Your new ideas are certain to be swaddled in turquoise blue waters and white sand beaches, encompassed by jagged mountains, anchored by rushing waterfalls and set to a Reggae or dancehall track. Visitors to Jamaica are likely to frequent resort towns like Montego Bay, Ocho Rios and Negril. 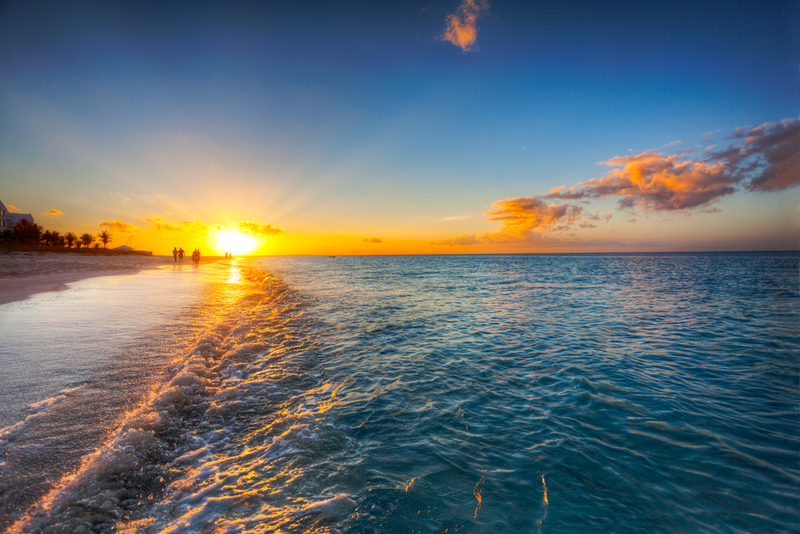 Combine the rich cultural experience, with the mouth-watering dishes, soft white sand beaches, the music and the golden sunsets, Jamaica has something to offer every type of traveller. Dunn’s River Falls is a world-renowned waterfall in Ocho Rios, Jamaica, and a major Caribbean tourist attraction that receives thousands of visitors annually. The fall is approximately 180 feet tall; the waterfall is naturally flowing water from a spring in the mountains that empty out into the ocean at the foot of the falls, which serve as a private beach for visitors. Dunn's River Falls is open every day of the week between 8: 30 am and 4 pm, adults pay $20 USD to explore the fall; kids admission cost is $12 USD. Along the eastern edge of Jamaica, lies the majestic Blue Mountains, the spearhead of Jamaica's aromatic Blue Mountain Coffee and a picturesque masterpiece for tree-huggers. Most travellers' experience with the Blue Mountains is just about the coffee, but if you are looking for more of an adventure, take a trek up the mountains to witness the beauty of the mountains. Tours run weekdays between 9 a.m. and 2 p.m. You can get a guided tour at a price of $108 - $180 USD pp. 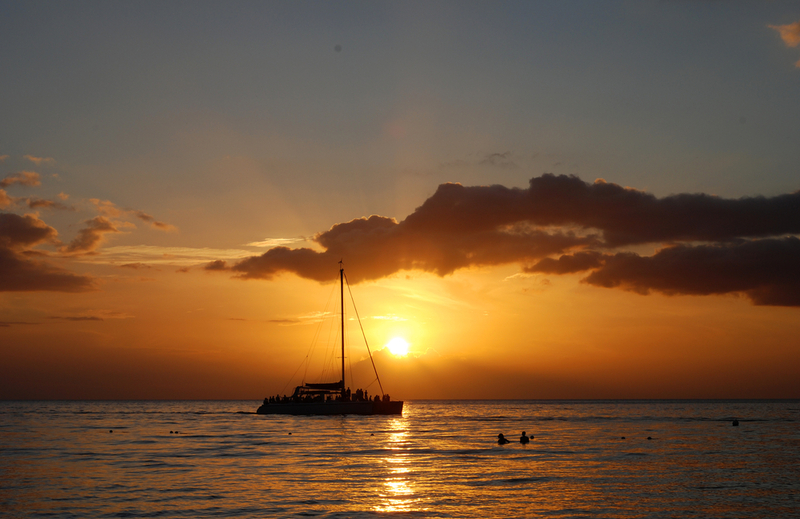 At the top of a cliff on the far west end of Jamaica is the place that boasts some of the most beautiful sunsets in the world; Rick’s Café, Negril. 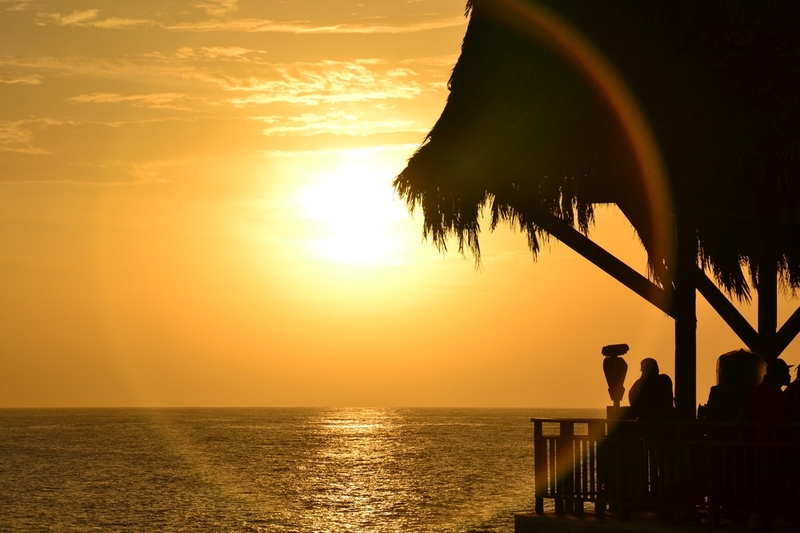 Enjoy a breathtaking view while dining on exotic island cuisine. During the daytime the more adventurous guests dive from the edge of the 35ft high cliff into the cool, clear waters below, daring locals even jump from the trees on top the cliff. You may not be as adventurous, and you won’t need to be. Witnessing the action is thrilling enough in itself. Climb 103 steps up the 100ft tall Negril Lighthouse for an awe-inspiring bird’s-eye view of the coast. Originally powered by kerosene, the lighthouse is now solar powered and flashes every two seconds, illuminating the westernmost parts of Jamaica. The view at sunset is nothing short of incredible, and although the tour is free, you’ll leave feeling as if you’ve just purchased your own personal piece of the sky. Take a break from swimming and tanning to pay homage the great musical legend. Located in the small village of Nine Mile, Ocho Rios is the birth home and burial place of the reggae legend. One of the greatest history location site in the Caribbean. Be sure to bring your cameras to snap photos of the home's exterior, painted in the Rastafarian colours, red, gold and green. Inside the museum, you should notice handwritten notes on the walls left by fans of the Reggae legend. You can also stop next door for lunch at the on-site restaurant of pick up souvenirs at the gift shop. You can visit the Bob Marley Museum any day of the week between 9:30 am to 5:00 pm. Admission is $19 USD. Tick a couple of to-dos off your bucket list after a visit to Dolphin Cove; snorkelling, swimming with sharks and stingrays, petting dolphins, riding camels, bird watching. It is widely considered as the best attraction in the region, but we’ll let you be the judge of that. Travellers from all over visit Dolphin Cove to realise their dreams of interacting with the incredibly sweet dolphins and see the exotic animals along the rainforest trail. There are two locations currently; Montego Bay and Ochi Rios. Opening hours are 8:30 - 5:30 pm and ADM starts at $50 USD. Take the entire family on a memorable adventure to a place whose tagline promises an experience of a lifetime. Green Grotto Caves is situated along the North Coast of the island, between Negril and Ochi Rios. It is one of Jamaica’s most prominent natural attractions, rich in wonder and history. Learn about stalactites and stalagmites and the many uses of the cave in historical times as your guide leads you on a 45-minute tour of this underground haven. It’s been known as Runaway Caves as it was used as a hideout for slaves seeking their freedom and Rum Caves when it was a storage spot for barrels of rum during World War II. The highlight of the tour is the crystal clear underground lake sitting perfectly still in the caves deep cavern. The caves were also featured in the James Bond film Live and Let Die. You may visit between 9 am 4 pm daily, entry fee starts at $20USD. There are a majestic swimming hole and waterfall neatly tucked away in the forests 25 minutes from Ochi Rios square. Named after its glistening turquoise blue waters, Blue hole attracts mostly locals and a few lucky clued-in travellers, as it has not yet been listed as an official tourist attraction. You can dive from a 6ft high cliff into the warm waters below, or use a very great rope to swing in Tarzan-style.? It features a 25ft waterfall with tour guides, opens between 8 am 5 pm and entrance fee starts at $15 USD. Come with friends or family and experience the bliss and beauty of this serene secret hideaway.